There’s nothing better than a good meatball. The problem is most meatballs are passable at best and downright TASTELESS at worst. These are anything but. They have a great flavor on their own and are even better seared off and then dropped into the yummiest of sauces to simmer til they sop up all the tomatoey goodness. 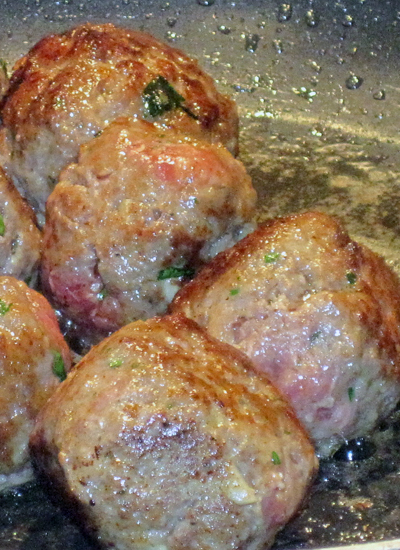 Make a mini meatball and cook it in a hot saute pan in a little olive oil. Taste for seasoning before making the rest of the meatballs. 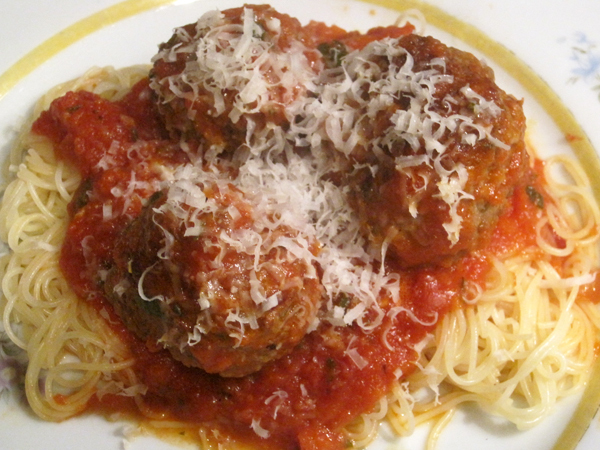 Roll into balls, brown on all sides, and then simmer in tomato sauce for 30-45 minutes, adding parsley when you add the meatballs. Serve over angel hair pasta. De Cecco is the best brand I’ve ever found and it literally takes 2-3 minutes tops to be ready.